1996 marked the début of the Tomb Raider franchise. 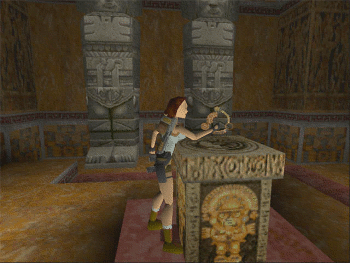 Combining Indiana Jones style artefact collecting with clever puzzles and platform sections, perhaps the selling point of this early Tomb Raider release was the inclusion of an athletic heroine named Lara Croft. Originally released on the Sega Saturn, Tomb Raider was shortly ported onto the Playstation 1, which marked the rapid increase in popularity for the game. If you recall back to 1996, the gaming world was going mad with Lara Croft fever. Not only was she one of the first women in gaming to achieve this level of popularity, but the success of the original Tomb Raider spawned an impressive number of sequels, whilst turning Lara Croft into a worldwide, multimedia brand name. Lara made it onto a series of Lucozade adverts, plenty of merchandise, and most definitely, on many male gamer's walls. It's fair to say that Tomb Raider was influential-it paved the way for many 3D action/adventure games that have followed since, and we can thank Tomb Raider for the increase in female protagonists in games since Lara Croft first back-flipped her way onto the scene. Anyway, I digress. The point is, Tomb Raider is worthy of being seen as a classic, due to the influences it had in the gaming world, and Lara is still seen as a major video game icon over 15 years later. Pretty impressive, huh? As previously mentioned, in Tomb Raider you play as Lara Croft, an upper class English adventurer who has her hands on her own extensive mansion, complete with her own butler. Living the life of luxury quickly gets boring for this adrenaline seeker, so she takes up the offer to retrieve an artifact for a wealthy American named Larson. However, not all is as simple as it seems. 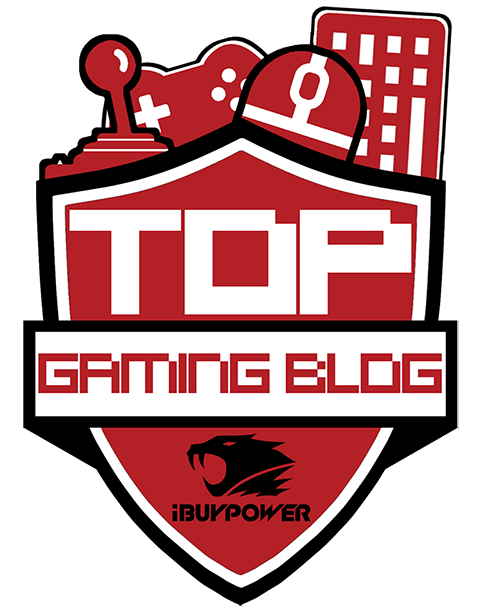 It turns out that Larson has turned his henchmen against Lara, thus forcing her to retrieve not one but three artefacts that have been hidden in tombs around the world. And so the game begins. Lara travels through a variety of destinations, including exploring Egyptian tombs, plundering mysterious Greek temples, and even taking a trip down to Atlantis. This game seems to cover many of the myths and "seven wonders of the world" that we are familiar with, but the ability to explore them through Tomb Raider is an excellent experience. Like any platformer, each level brings different bosses and normal enemies. Of course, these enemies are themed for their location, so, for example, a Jurassic-like setting brings Lara up against a gigantic Tyrannosaurus Rex (one of the games stand-out moments), whilst typically, the Egyptian level features mummies and Sphinxes. Lara combats these enemies by shooting with two revolvers. More guns, such as the Uzi and shotgun, can be picked up throughout the game, whilst the ammo for each weapon can be stumbled upon along the way. However, what makes Tomb Raider so different from many games available around the same time was the exploration and acrobatics that Lara adopts. Each level has a series of switches, levers, ropes or objects to interact with, which Lara must press before progressing to the next stage. Of course, as many Tomb Raider fans will appreciate, this is not an easy task. In order to complete a puzzle, Lara must navigate her way around a series of obstacles. This is where her gymnast expertise comes into play. Players will instigate death-defying jumps, abseil, dive from huge heights, and swing from rope to rope in order to get to each piece of the puzzle. Whilst jumping around and working out the puzzles may seem like the most enjoyable aspects of the game, they can also be some of the most frustrating. Completing a puzzle only to fall awkwardly results in Lara dying in a crumpled heap. Nine times out of ten this results in having to re-complete the puzzle, and believe me, the puzzles on offer are not simplistic. At the time, Tomb Raider hosted some breakthrough graphics, with unique gameplay which has since then spawned a host of similar games. The creepy undertone, teamed with some exhilarating and intriguing gameplay makes this a true winner. If you can put up with the occasional frustrating puzzle, then this is definitely worth a go.